For Welsh businesses, St David’s Day is an excellent opportunity to tap into national pride with their marketing. It’s a day for celebrating all things Welsh –not just leeks, daffodils, rugby, choirs, and harpists. It it’s Made in Wales it’s the day to sell it in Wales, and to Welsh expats all over the world. For food and drink businesses, St David’s Day is the perfect time to showcase Welsh produce. For tourist businesses, it’s a good time to start the marketing push ahead of the main tourist season. For the business to business sector, it’s time to reward your loyal customers. How can you make the most of St David’s Day in your marketing? Get your print materials ready! It’s not too late to get St David’s Day-themed flyers designed and printed, but you will need to be quick about it. Choose simple, striking photographic images for the best effect. Get an infographic or themed meme designed for use on social media. Make it a feel-good image and a positive message. Wish your customers ‘Happy St David’s Day’ – in Welsh, ‘Dydd Gŵyl Dewi Sant Hapus’. Run a one-day only promotion. Giving your customers a time-scale will speed up their decision-making process. Ensure you promote this offer widely in the days before St David’s Day. Give out free treats to customers. 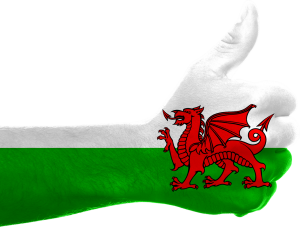 They don’t have to be Welsh cakes or bara brith – you can choose any Welsh product to suit your customer base and your brand. What about Welsh chocolates or cheeses? Run a St David’s Day competition. Build your brand and reward your customers with some Welsh-made toiletries, clothes, or a voucher to a Welsh attraction. Run a themed email marketing campaign. Target your customers in Wales and those who are interested in buying Welsh products. Emails sent to segmented lists perform better than sending emails to your whole list. Choose your subject line carefully to maximise that feel-good factor. Engage your customer base on social media. Create a ‘How Welsh Are You?’ quiz, run social media polls on Welsh heroes and heroines, and curate content from the Welsh media. Many will be running features which will be interesting to your customers. This is brilliant for engagement. Why don’t you or your staff sing the anthem, or show your in-store or in-house events? Get into the spirit.